I was chasing a political story over at the New York Post and just happened to notice that they were running a 2010 animal photos slideshow -- a polar bear shot caught my eye -- and I'm always looking for good polar bear pictures for our global warming coverage here (yes, Sam Foster, I'm talking to you). I love animals and don't think that one has to be a fire-breating, Gaia-worshipping, capitalism-hating environmental nutjob to appreciate the wonder and beauty of nature and the spectacular diversity of the animal kingdom as well. 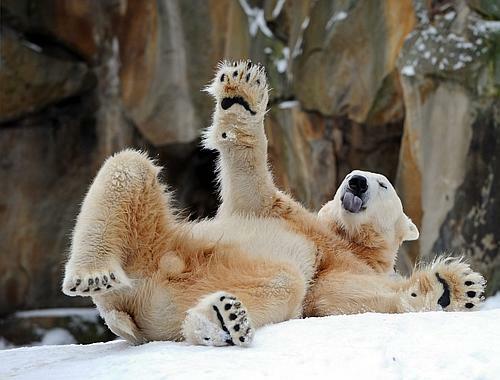 EPA: Polar bear Knut rolls around in the snow at the zoo in Berlin, Germany. (I love this one) REUTERS: A tiger with a tranquilizer dart on its body walks inside the Assam State Zoological Botanical Garden in Guwahati. 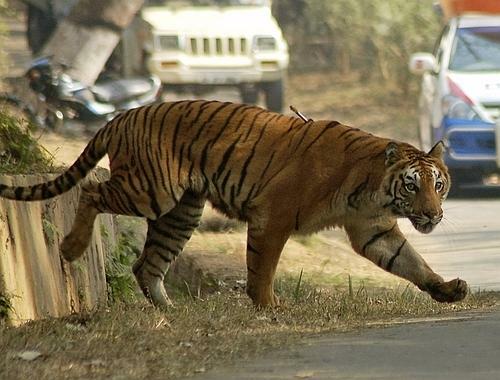 Two adult tigers on Saturday escaped from an enclosure at the Assam Zoo triggering panic among nearly 10,000 visitors. 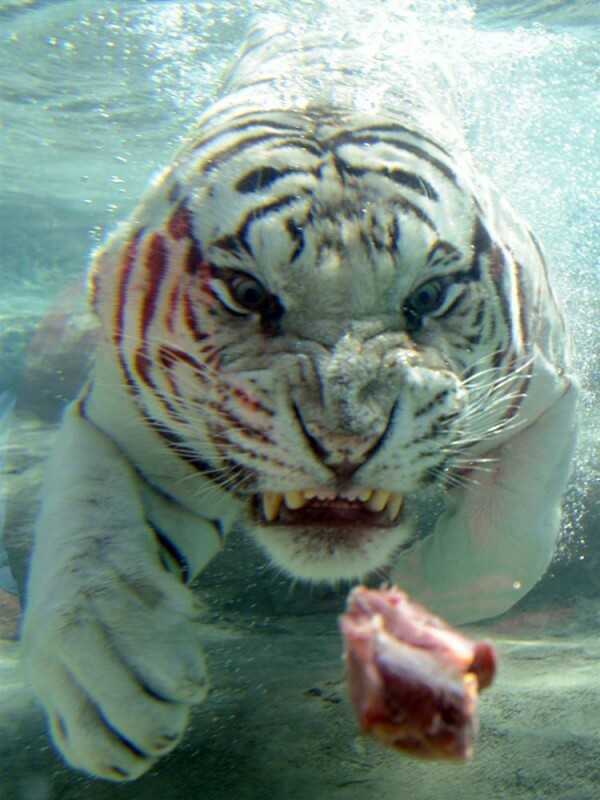 Both the tigers were later tranquilized and taken to their cages. 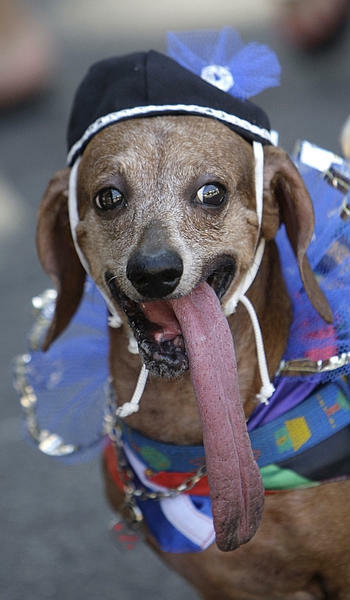 is seen during the dog street carnival parade in Rio de Janeiro. 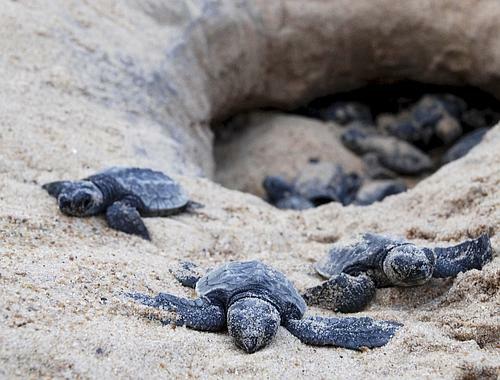 parades before Carnival, which runs Feb. 12-16.
olive ridley sea turtles nest their eggs in parts of the Bay of Bengal, one of the mass nesting sites. 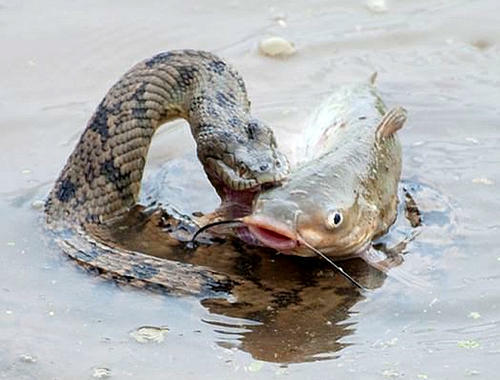 ZUMApress.com: This snake looks as if it's bitten off more than it can chew. pounced on it in the shallows of a river system near Houston, Texas. 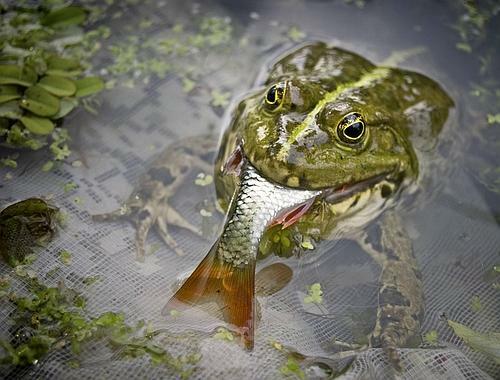 Solent News/Splash News: A fisherman was stunned when a cheeky frog jumped into his net - and swallowed his catch whole, in a lake just outside the city of Chernigov, Ukraine. 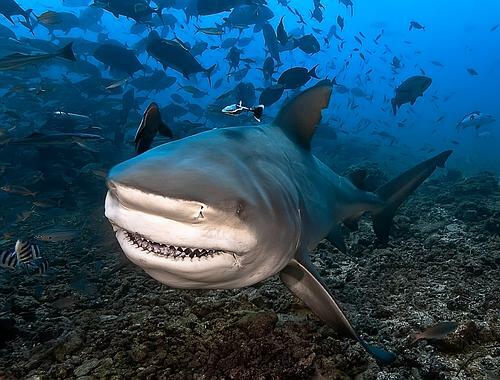 A pregnant Bull Shark charges in Fiji. 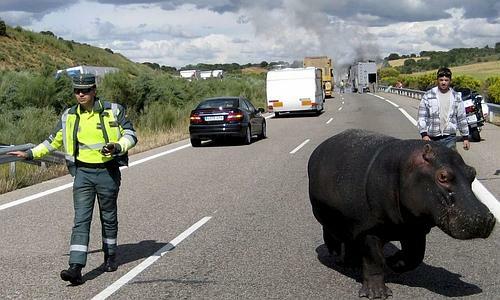 the hippo out to ditch and to try to suffocate the fire. 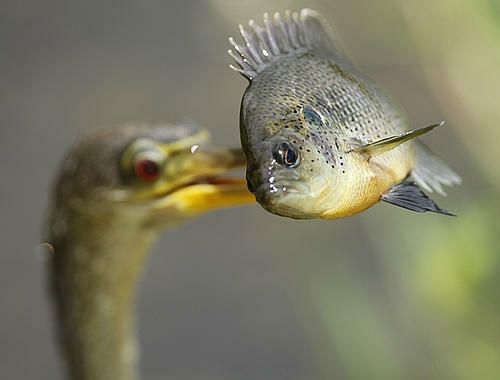 and fishes for its food. 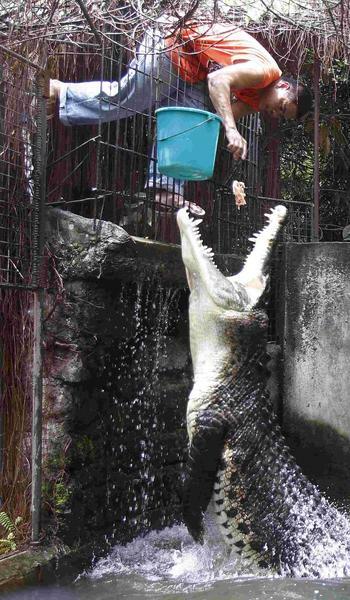 It eats fish, frogs, eggs, and even small alligators. 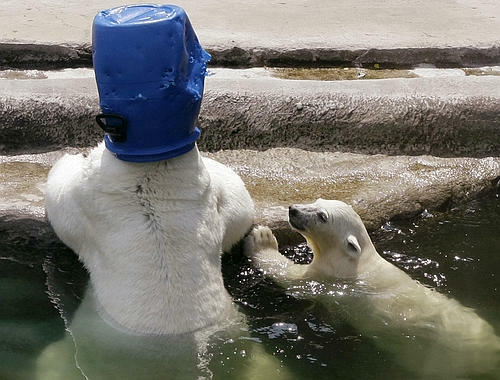 AP: A polar bear has a bucket on his head, while a cub swims nearby in the cooling waters of Moscow Zoo. 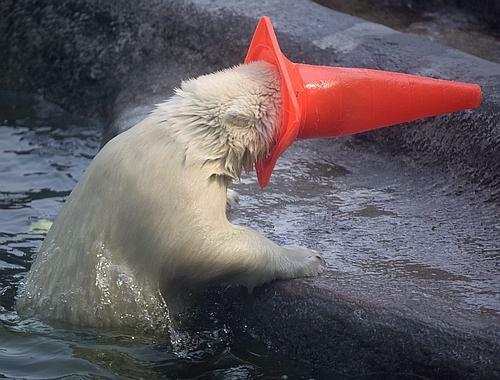 EPA: A polar bear with a traffic-cone on his head refreshes himself in the water in the Moscow Zoo, Russia. at the opening of the new tiger exhibit at Six Flags Discovery Kingdom in Vallejo, Calif. Here is the link to see the rest at the random Russian website.